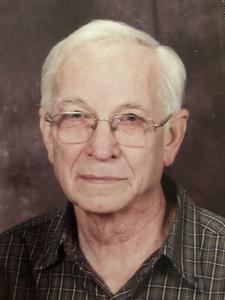 Arlie Barrett age 81 of Holland passed away Saturday, February 9, 2019. Arlie retired from Holland Transplanter Company in 2002. He attended Maranatha Christian Reformed Church. Surviving is his wife, Joyce; children, Valery and Paul Fisher and Kevin and Lisa Barrett; 2 grandchildren, Theressa Barrett and Mairi Barrett; brother and sister, Ray and Mary Barrett, Linda James, and Tressa and Elvin Thacker; in-laws, Marilyn and Ed Bredeweg, Rose Kuyers, and Marjory and Harv Wuerfel; nephews, nieces, and cousins. Funeral services will be 1 pm Thursday (February 14) at the Dykstra Funeral Home-Mulder Chapel, 188 West 32nd Street. Entombment will be in Restlawn Memorial Gardens. Visitation is one hour prior to the service. Memorial contributions may be made to the Holland Rescue Mission.